Menace II Society was released on Wednesday, May 26th, 1993. This gave it an extended five day opening that also included Memorial Day weekend. Alas, this was also the same frame that Sylvester Stallone decided to launch a comeback. Cliffhanger was an expensive Die Hard clone that would also be the first summer blockbuster out of the gate. Surely, a low budget “urban” film didn’t stand a snowballs chance in hell against such a behemoth. 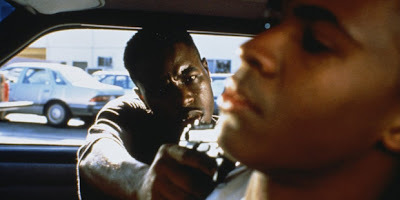 Menace II Society could easily have been nothing more than a crude example of Cinéma vérité. Thankfully, Tyger Williams and the Hughes brothers had learned well during their formative years as movie buffs. In channeling those influences, they applied their respective talents. Albert clearly absorbed the bravura camera maneuvers of Michael Ballhaus, Director of Photography on Goodfellas. He’d also inherited Brian De Palma’s sense of visual grandeur. The aforementioned are all spiritual godfathers to the Hughes brothers. Those roots run much deeper than many realize. 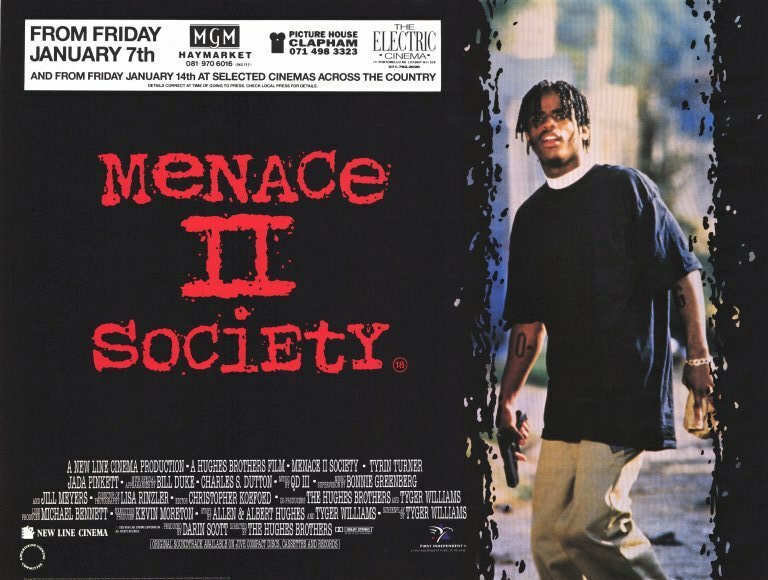 Menace II Society had weathered the storm. It survived post-riot angst, gang rivalries, jilted cast members and a tentative studio. Now, the film was finally in the can. It would be shipped out to theater projection rooms across the country. There would be the usual round of test screenings and press screenings. However, the real litmus test would the opening weekend. May 26th, 1993 would be judgment day. Just what was in store for those who dared purchase a ticket? Dominic Torretto (Vin Diesel) and Brian O’Conner (Paul Walker) are set for life. The Rio de Janeiro heist has afforded them a very early retirement. They plan to live out the rest of their days in comfortable anonymity, while the rest of their crew live it up abroad. Diplomatic Security Service agent Luke Hobbs (Dwayne “The Rock” Johnson) descends on this new found paradise like a dark cloud. However, brings a tempting propostion to Dominic. 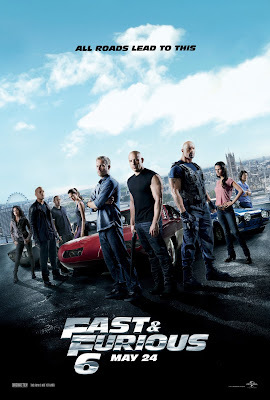 International heist master Owen Shaw (Luke Evans) and team of specialists have pulled off one brazen and elaborate heist after another. They are gearing up for their biggest job yet. Hobbs desperately needs to stop them. In exchange for Dominic’s help, Hobbs offers him the one thing money can’t buy. With full tanks full of gasoline and nitrous oxide at the ready, Dom and company rev their engines for another mission. 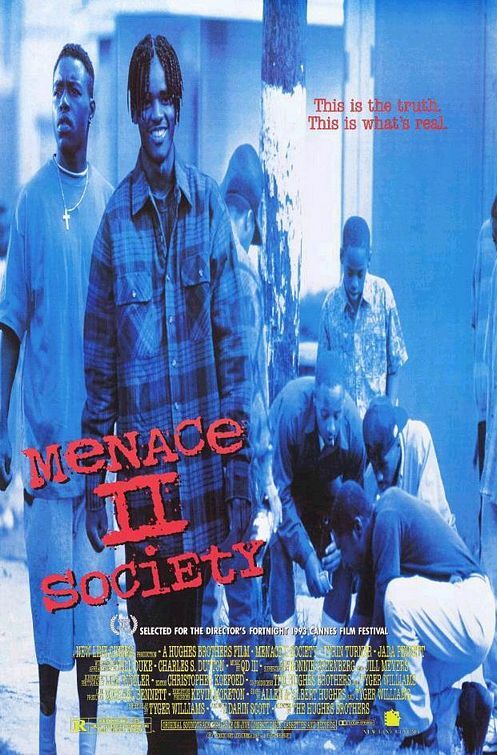 Filming had commenced on Menace II Society without the participation of Tupac Shakur. He walked out on the production after a nonsensical dispute with co-director Allen Hughes. However, he hadn’t formally quit. He simply instructed Hughes to “call his manager.” When Allen’s repeated attempts to do so proved fruitless, New Line Cinema gave the rap star the pink slip. The role was then recast with a different actor. 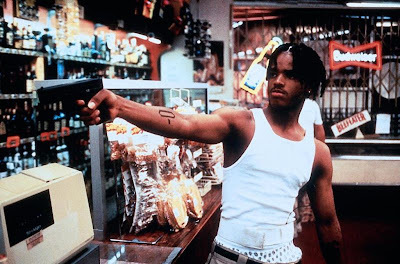 Tupac’s melodramatic departure from Menace II Society could have easily shut down the production. 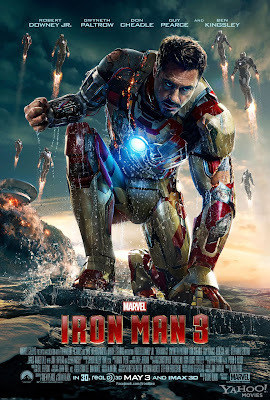 It was his participation that convinced New Line Cinema to give it the green light. Luckily, they didn’t pull the plug. Shooting commenced as planned. However, there was another issue to contend with. 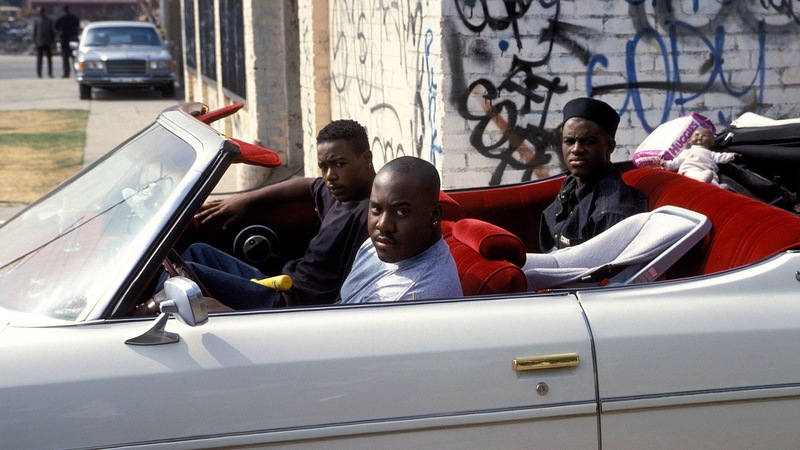 The 1992 riots had left South Central L.A. in shambles. Nevertheless, it remained a complex labyrinth of gang territories. 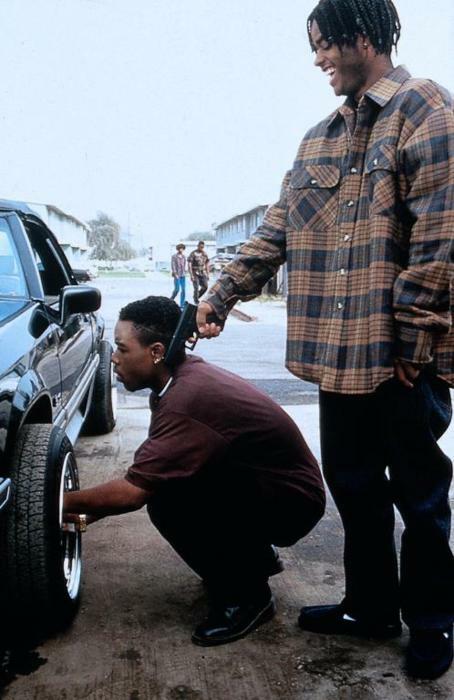 The Eastside Grape Street Watts Crips had a direct hand in the truce that immediately preceded the Riots. Unfortunately, it didn’t apply to everyone. The Jordan Downs Public housing projects was one of many treacherous locales on the shooting schedule. 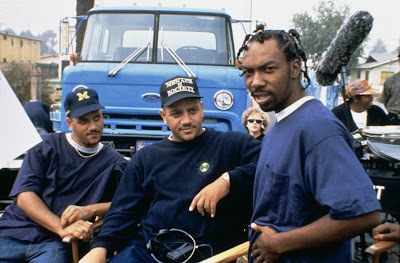 The Hughes brothers might as well have been filming in the Persian Gulf just after desert storm. Captain James T. Kirk (Chris Pine) has officially worn out his welcome. Starfleet has grown quite weary of his blatant disregard for protocol. Unfortunately, there are far more pressing matters afoot. 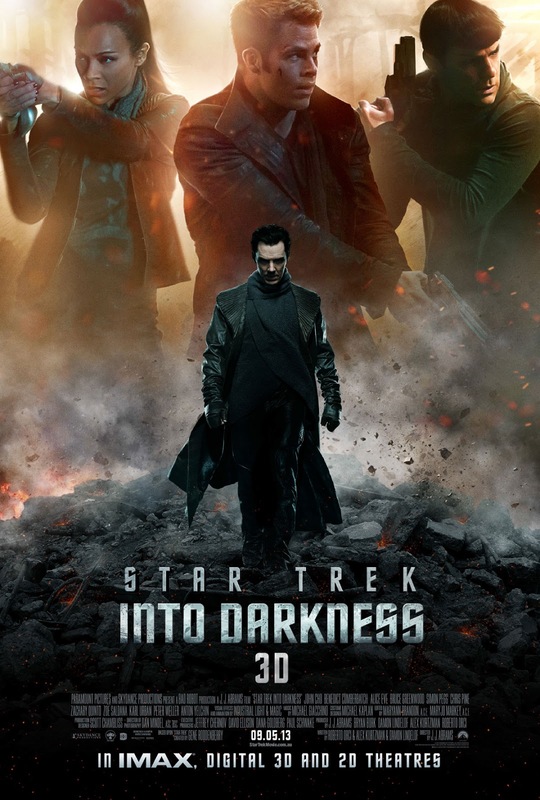 A mysterious new enemy (Benedict Cumberbatch) has declared all-out war on the federation. Kirk is given clearance to seek out him out and destroy him if necessary. With the crew of the U.S.S Enterprise in tow, he sets course for the Klingon home world. Together, they will engage a foe unlike any they have ever faced. The Tender Trio had gotten all of their ducks in a row. They now had a script, a star (in a supporting role), and a studio. The participation of Tupac Shakur ensured that Menace II Society would be made in conjunction with New Line Cinema. It was the best deal the trio could hope for at that time. However, there were early signs of trouble. Tupac’s erratic behavior was worsening by the day. The film’s subject matter openly courted controversy. When word of the project got around, other Black filmmakers tried to sabotage it. The studio received a number of angry calls. Though undeterred, New Line was definitely cautious. 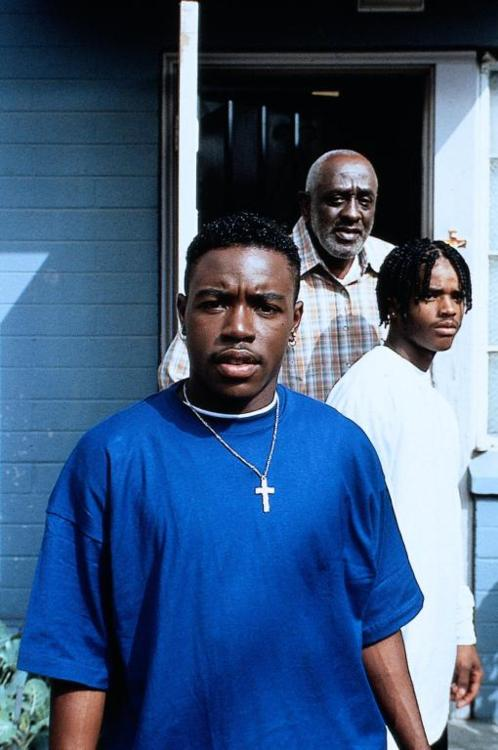 The screenplay for Menace II Society offered a bold and timely vision of life in the “hood.” However, America was in no condition to receive such a harsh message. It was the early 1990’s, and the age of “political correctness” was just getting underway. Activists and watchdog groups aggressively pushed their respective agendas. Public schools and workplaces implemented programs that taught “tolerance,” and “cultural diversity.” The Black consciousness movement in Hip-Hop was reaching ebb tide. The Fox network became a haven for shows aimed at African American viewers. Anything not seen as “progressive” in some way would was looked upon harshly. In laying the groundwork for their crime ridden cautionary tale, the “Tender Trio” didn’t need to look very far for inspiration. They had only to peer out of their living room windows, or play their favorite rap albums. By 1991, Los Angeles had become a veritable powder keg of social unrest. The illegal drug operation birthed by “Freeway” Ricky Ross and his Nicaraguan connection had mushroomed into a nationwide epidemic. Throughout the 1980’s, L.A. gangs morphed into heavily armed militias thanks to the crack trade. A saturated marketplace soon facilitated their exodus to other areas of the U.S. This was especially true of L.A.’s two largest Black gangs: The Bloods and the Crips. Both organizations were born in the 1970’s, in the wake of the Black power movement. By the early 1990’s, they’d carved up every square block of South Central L.A. amongst themselves. Battle lines were drawn in accordance with neighborhood boundaries. Ordinary civilians became live- in hostages. The police became just another gang, though one with the backing of city government. There’s nothing more deflating than a revolution that peaks before it can effect real change. So it was with the Black film renaissance of the early 1990’s. That resurgence was largely spurred on by the popularity of so-called “hood” movies. In March of 1991, the Neo-Blaxploitation flick New Jack City roared out of the gate with both guns blazing. Alarmist ravings from fear mongering media pundits stoked audience curiosity, turning the film into a sizable hit. In July of that same year, Boyz n the Hood brought some much needed prestige to the emerging subgenre. It was honored with two Oscar nominations at the 64th Academy Awards. 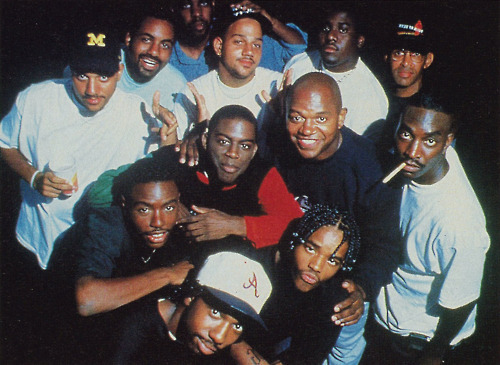 Seemingly overnight, Hood films had become the order of the day. In May of 1993, a bold new entry to that rapidly expanding cannon upped the ante to explosive levels. What it lacked in subtlety, it made up for with menace.